The blower door is the device that we use to simulate a 20 mph wind coming at the home from all directions, simultaneously. 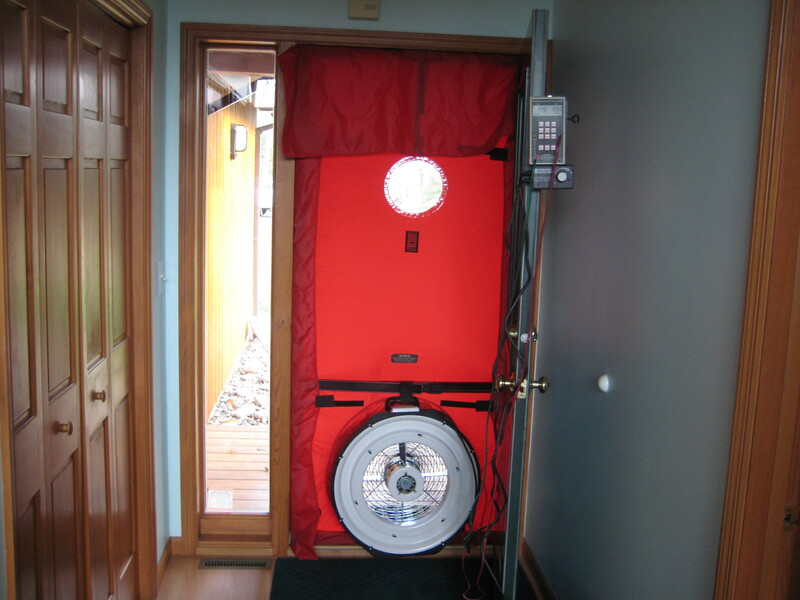 This is a picture of the blower door ready for use. We talked about the blower door being a peripheral of the laptop computer that is used, the software and the pressure and flow gauge that help us in gathering the data that tells us how air-tight the home is. We showed you one of the low-tech tools used to locate specific areas of air-infiltration, the smoke stick. 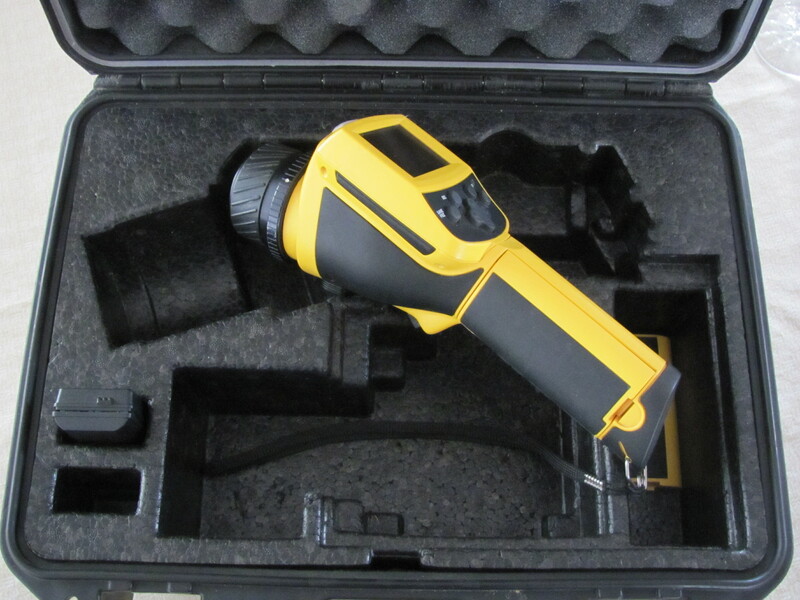 This week we want to show you the high-tech version of this “Tool of the Trade” that we use to locate specific areas of air-infiltration, the Infrared Scanner/Camera. 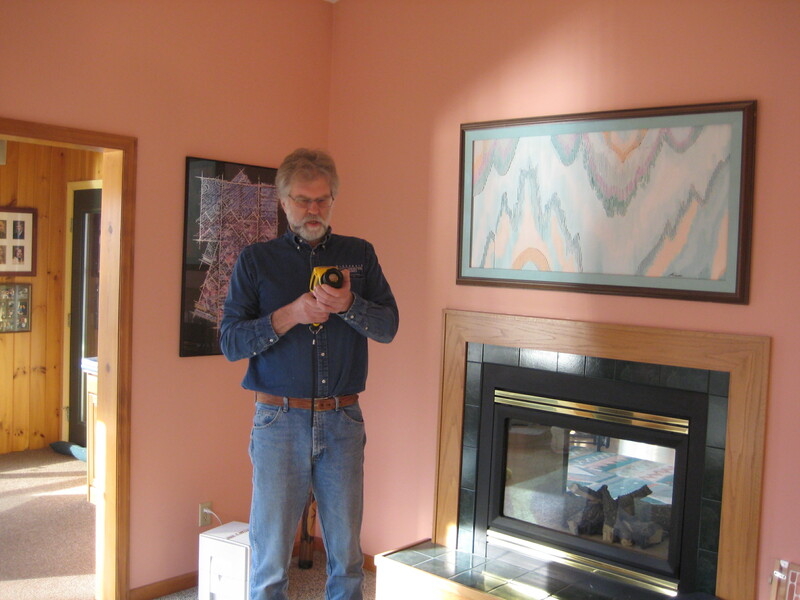 In the hands of someone that’s been trained in the science of infrared imaging (Thermography), such as our Home Performance Professional, this is a very powerful tool of the trade. Once we’ve depressurized the home to 50 pascal by running the blower door, we use the IR scanner to locate any air-infiltration, by scanning all of the “usual suspects” for air-infiltration. We scan all exterior walls, window and doors, roof assemblies and where the roof assembly meets the exterior wall. We are able to take pictures of the images that the IR scanner produces and attach the images to the reports that we generate for review by our carpentry crew, our insulation trade contractors and by our clients. We use this information to determine deficiencies in the existing homes that we test, so we can define the scope of our work for taking corrective measures. The homeowner is provided with the performance data compiled during the initial test and with a “Prescriptive Path to Remedy” any existing deficiencies. By doing so, we provide the homeowner with improved performance data and documentation that they’ve done due diligence in improving the efficiency and performance of their home. This leads to more than a lower energy bills, greater comfort and a healthier indoor environment. It leads to higher re-sale values. We use these same tools of the trade and methods to test our new homes as well. The performance data that we gather by testing verifies that we’ve met and in most cases, exceeded program standards for certification. We don’t expect our clients to simply take our word on how efficient their homes are. We put science to work and third independent testing services to verify the efficiency of the homes that we build. At Great Lakes Carpentry, we believe that by building to higher performance levels and testing our projects, we provide. much more than just added value. We provide peace of mind by using science to prove that what we’ve done was done right. What we’ve shown so far are just a few of the “Tools of the Trade” that we use for testing our high-performance new homes and energy remodeling work that we perform. We’ll showcase some of the other tools of the trade in our next post.